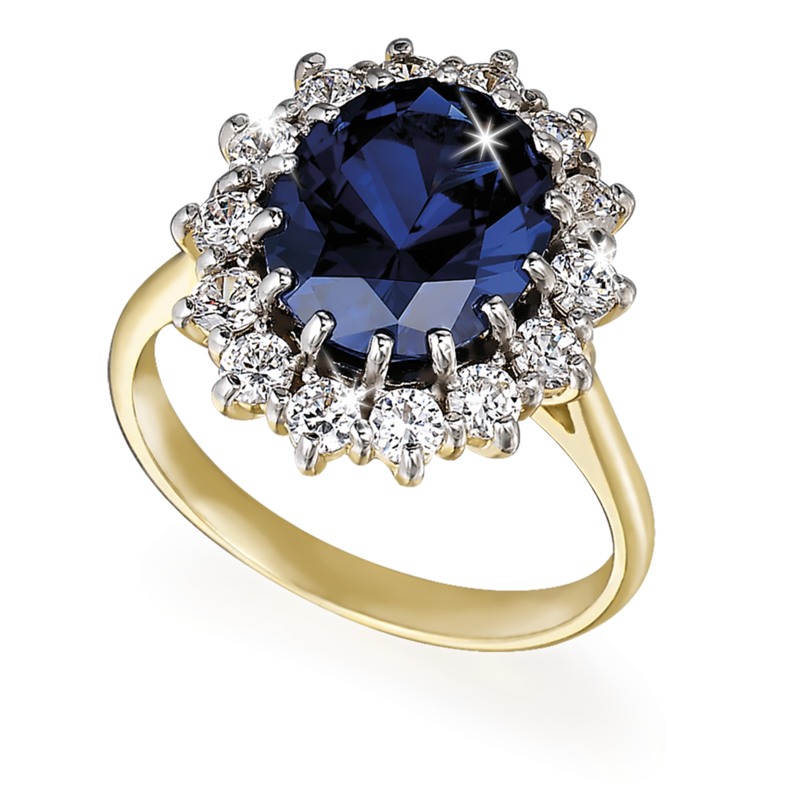 Diana’s Choice: The World’s Most Famous Sapphire Ring’ is available in four sizes. To select yours, remove the pre-perforated circles below and insert your finger in each of them. Select the size that best matches your finger and record the number (1, 2, 3 or 4) on the order form below. Don’t worry if you order the wrong size, you can exchange it for any other size any time up to three months of receipt and you are fully protected by our no risk 14-day return guarantee. Be certain to order immediately, as these exclusive rings are expected to sell out quickly. Wearing such a stunning piece of jewellery inspired by the ring that Princess Diana chose, and that her children continue to love is a timeless way to remember her life and legacy every day. Sterling silver has a long association with British history, royalty and jewellery and is therefore an appropriate choice for such an important royal commemorative. The ring is completed with a lavish 18 carat gold layering to perfectly match the look and lustre of the original. Following Princess Diana’s tragic death in 1997 her two young sons were invited to choose a keepsake from her possessions. Prince William picked his mother’s Cartier watch, and his younger brother Prince Harry selected her beautiful sapphire ring to remember her by. Tru-Diamonds™ are created in specialized, state-of-the-art laboratories which heat rare minerals to extremely high temperatures to produce stones with the true properties of a diamond, very hard and optically flawless. When cut, polished and crafted by experts, their brilliance and pure white colour makes them indistinguishable from rare, top-grade mined diamonds, but far kinder to the environment to produce.